I made my annual trip to TEDxAuckland on Saturday, and for the last 2 years I have captured my experience here on MarketingFirst.co.nz, but this time I’ve written my report on the TEDxTauranga website. TEDxAuckland ran from 10am to 5.30pm on 3 Aug 2013: 7.5 hours of awesomeness. But my day started at 6am because I drove up from Tauranga for it, and got back home at 11pm. I’m still counting the 8.5 hours of waiting and driving because those were all awesome too. I was either talking to my car buddies Michelle Herrick and Lisa Martin-Payne about our businesses, family, lives, dreams and aspirations. Or, chatting to new people we met during the day and catching up with friends. I’ve been watching TED videos for a few years now (3-5 a week), but to have the speakers right in front of you, really engages your other senses and drives the content and their message into you. This was not an accident. It’s my philosophy that 50% of the value of any event/seminar/conference/expo you go to is the content you are exposed to, and 50% the people you meet before, after, and during the breaks. Also, having just run my own TEDxTauranga event in the same week, I made a point of spending some time with the TEDxTeAro (DK) and TEDxChCh (Kimberley) organisers comparing notes. On to the TED talks. 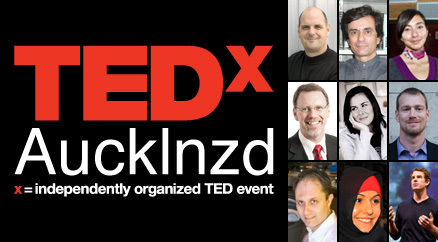 TEDx Auckland ran from 10am to 5.30pm on 6 Oct 2012: 7.5 hours of awesomeness. But my day started at 6am because I drove up from Tauranga for it, and got back home at 10pm. I’m still counting the 8.5 hours of waiting and driving because those were all awesome too. I was either talking to my car buddy Rachel Tabb from Bubble Interiors about our businesses, family, lives, dreams and aspirations. Or, chatting to new people we met during the day and catching up with friends. We turned up at the event an hour early, which was good because I had left my tickets at home. I explained this to one of the key organisers: Elliot Blade and he gave me a ViP ticket. This turned out to be awesome because I grabbed a seat in the centre on the front row. Probably the best seat out of the 2075 people there that day. I was 3 metres from every speaker. I met some awesome people sitting in that row: Matthew Bosher, Don Bisset, Johnathan Custance, Lara Custance, and Ben Irving, and caught up with Matty Blomfield. 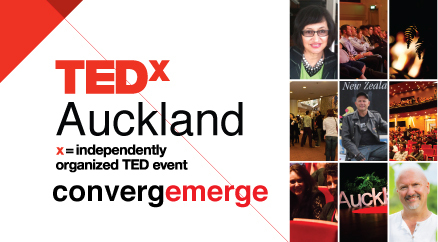 Also, I made a point of spending some time with the organisers because I intend running TEDx Tauranga in 2013 and wanted to make those connections so I can benefit from their experience, resources and connections later. Michelle talked about how she likes to break stuff ever since she was a kid to find out how stuff worked. Much to the annoyance of her Dad. She told her story about how she found her dream job – a place where she gets to break stuff all day and never have to put it back together. She told us how technology has given her superhero powers. 2 examples: fly like a super hero with super conductors, and wear an invisible cloak of nano particles to be waterproof. Such a passionate, memorable and entertaining story straight from the heart. Really inspiring stuff. Michelle is a specialist in biomedical materials engineering and head of New Zealand’s only nanomechanical testing laboratory at the University of Auckland. 2. Dr. Paul Wood: What’s Your Prison? Paul talked about how he did a 10 year stretch in jail (often in solitary refinement), but his real prison was his self limiting beliefs. He changed his attitude and rose up beyond his confinement, and with the help of some friends, got a degree, got a masters degree and then started his doctorate before he was freed. Wow. What a personal story. It’s people like this that inspire me to be a better person. Lesson for me: If there is something that truly needs to be done, there is no excuse I can come up that is good enough. Break through confinements and constraints. Paul is a change specialist and founder of Switch Coaching & Consulting. He specialises in industrial, organisational and workplace psychology. Joy is when you feel alive, you celebrate life, when life “clicks”. She encouraged us to all find our own joy and to “lean into joy”. Fantastic stuff. So passionate, so brave. Pip is a playwright, actor and co-creator / producer of the Wet Hot Beauties. She is a recipient of the prestigious theatre honour, the Bruce Mason Playwriting Award. The idea here is for everyday people to commit to creating something new every day for 100 days along a theme. In 2012 almost 100 people did so, and took photos of what they made everyday. One guy took a video of his son every day. Emma is a partner at Auckland design company Apropos and founder of New Zealand’s 100 Days Project. Paul has found a way to reverse the disturbing trend of falling book reading rates. Half of of high school graduates in the US don’t read a book again in their entire lives. Lesson for me: There is always a way to fix something that’s broken. Find the pain first, then create the solution. Don’t give up. Paul is the CEO of Booktrack, which is his answer to addressing the decline in reading and literacy rates that will help make reading relevant again to a new generation of readers. Philip is best recognised for his ten-year career as a comedian and entertainer. He is an alumni of the New Zealand Social Entrepreneur Fellowship. This team is working on a way that Smart Phones can be used as seeing-eye dogs for the blind. The AI software can recognise many objects so the user can determine “of the 2 cans in front of me, which is spaghetti, and which is cat food?”. As the AI continues to learn, there is also an crowd-sourced human layer of people who receive the photo on their own smart devices and they can text back what they see. Aakash and Jade are members of MobileEye, a software start-up team from Auckland University of Technology. Lesson for me: Be unique. Even in an antiquated commodity (like poetry), there is always room for you to define your own style. Sam is New Zealand’s preeminent poet and author. His recent work includes Doubtless and the semi-autobiographical Backroads: Charting a Poet’s Life. Victoria is the Chief Executive of the Gibson Group. Her recent projects include an award-winning immersive museum outreach project in Copenhagen. Assil is a dental surgeon and founder of ICARE, New Zealand’s first and only registered medical and dental charity for Iraqi orphans and disadvantaged children. John is a surgeon who holds a personal chair in surgery at the University of Auckland. He is also co-founder and a director of the start-up SIMTICS Ltd.
Matthew really really really likes loud speakers. The bigger the better. The louder the better. He sold hundreds of the “Bladder Buster” speakers which are 3m high. He sold the first one before he’d even built a prototype. He is interested in things that have never been done, or “impossible”. 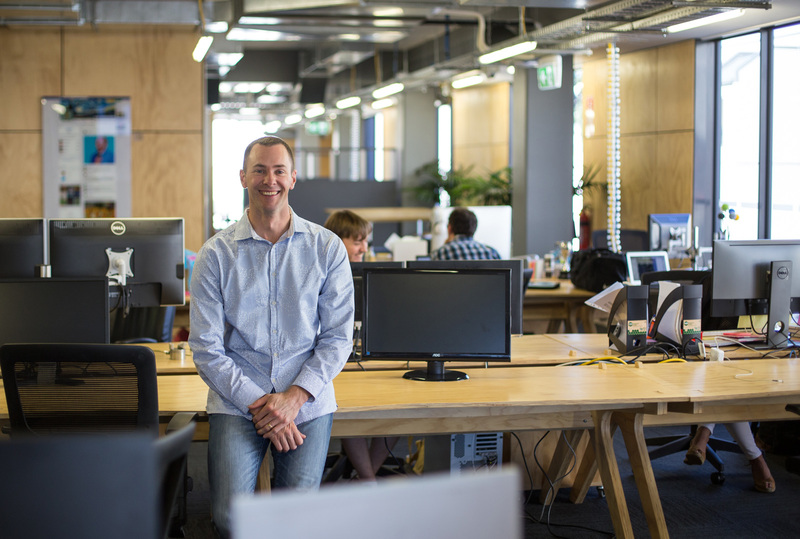 Matthew is the CEO of Arvus Group International and currently part of the NZ Clean Energy Centre’s Enterprise Great Lake Taupo (EGLT) team. Basically they smash streams of Protons together and detect the various particles that come flying out of these collisions. I appreciated his sense of humour about it all, because it was quite complicated in parts. David is one of New Zealand’s leading physics researchers and a specialist in experimental high energy nuclear physics and environmental radiation. 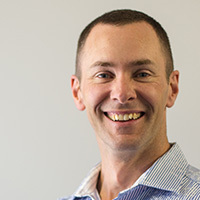 Alistair is an Associate Professor at University of Otago with a background in cognitive science and artificial intelligence. Sean is a physicist, decathlete, political advisor and TED fellow. He is also the co-founder and CTO of Quid, which is building a global intelligence platform. Peter is one of New Zealand’s most accomplished documentary fi lmmakers and the founder of Fisheye Films. Andrew is the Design Director of Patterson Associates Ltd, and arguably New Zealand’s most internationally recognised and published architect. Five Mile Town are an up and coming Auckland-based Indie Folk band made up of Louis McDonald, Adam Quiqley, Levi Heeringa and Ryan Wilson. Seth is a singer-songwriter whose self-produced debut album saw him work alongside musicians such as Godfrey De Grut (Che Fu) and Nick Gaff aney (Golden Horse). A special shout out to Andrew who did a fantastic job at making the speakers feel welcome and keeping all the transitions smooth.